What a wedding day at Events on 6th is like, and how much it will cost you. Get married in the stunning chapel, enjoy cocktails in the mid-century modern lounge and outdoor courtyard, and celebrate in the reception hall with all your family and friends. Yes! It’s all in one fantastic church building! Fridays and Saturdays are available for weddings, and each includes a rehearsal and two planning sessions, both of which reduce stress for you. 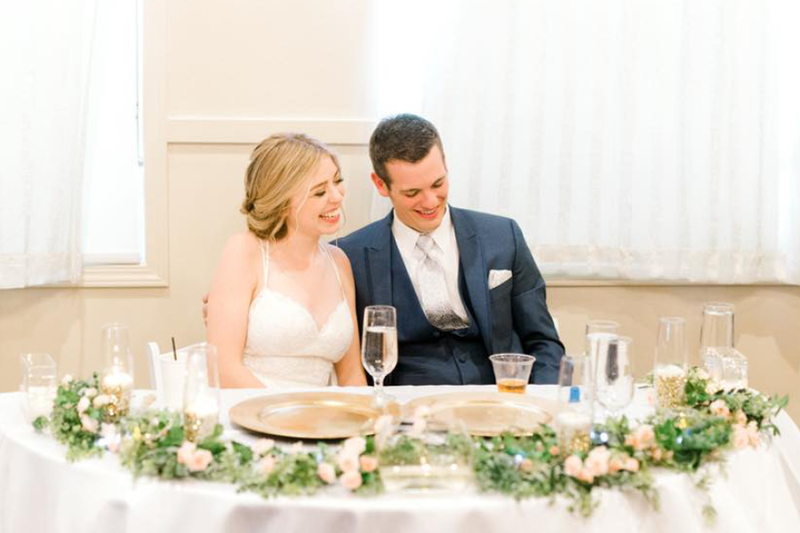 You’ll have plenty of time to decorate, get ready, and take all the photos you want before and after you say ‘I do!’ and then celebrate with dinner and a party. Enjoy the experience of getting married! Saturdays at Events on 6th are $3900. Saturdays are great for weddings; it’s the most popular choice! Most of your guests have the day off and travel arrangements might be easier as well. 10 hours of time is a great length and gives you plenty of time to decorate, get ready, take all the photos, get married, and celebrate! The building is perfect for parties of 160 or fewer, but we’ve fit in close to 200; we can talk about the best way to arrange your party on your tour. You’ll appreciate the time to rehearse and settle everyone’s nerves, and the planning sessions really help you think through all your decisions. A few specifics: you get 10 hours of time, a 90 minute rehearsal, and two, 1-hour planning sessions. Tables and chairs are included! Decorations, dishes, sound system, food, bar, officiant, photographer, etc. are NOT included. Fridays at Events on 6th are $3400. Fridays are great for weddings! You get a jumpstart on your honeymoon and your family can spend some extra time together the rest of the weekend checking out Tacoma and Seattle! The venue is more economical and you can use that $500 saved on something else! Like food. Or cake. Fridays are flexible; you may reduce your time to 6 hours at the minimum. Interested in just using the chapel, or just the reception hall? Scroll farther down for that info! What’s a wedding day at Events on 6th like? Scroll through the photos to see! You’ll enjoy plenty of time to decorate and get ready, many amazing places for photos, a gorgeous church for your vows, a mid-century modern lounge and garden for your cocktail hour, and a great reception space for your celebration…all in one amazing, historic building! 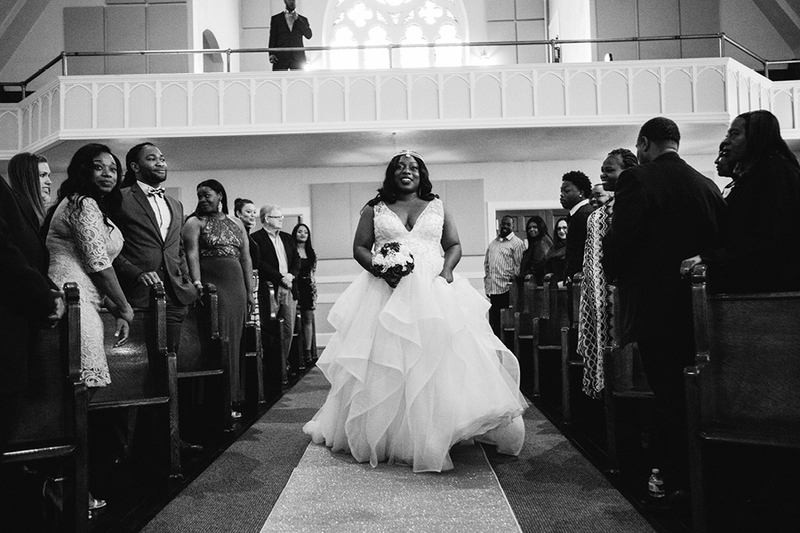 If you’re looking for a church wedding, this is it! If you are looking for a beautiful church Events on 6th is the perfect place to have your wedding! My favorite part was the whole wedding took place in ONE place! It was convenient for everyone! The venue doesn’t need much; it’s so beautiful on its own! Packages can be customized! Need more time? Yes! Less time? We can talk! It can be daunting to figure out how much time you need; I can help you figure that out, and you don’t have to decide right away. Saturdays can be reduced to 9 hours and Fridays to 6. Often parties with smaller guest lists don’t need as much time. Or perhaps you aren’t big dancers and just want a relaxing evening catching up with out-of-town guests. You can also have a shorter day and then head out with your closest friends to an after-party at a local bar. Let’s figure out what works for you! Both days offer flexible time frames...want a morning wedding? Great! Brunch weddings are amazing! Want to dance all night? Love it! Party on! Need way more time? Talk to me about booking both days! 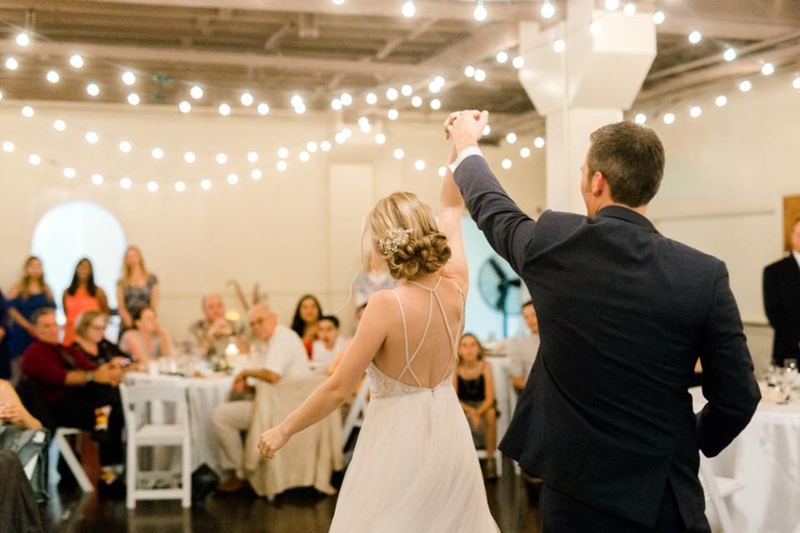 You’ll have all the time in the world to put up all your decorations, eat a rehearsal dinner, do hair and makeup, have a wedding day brunch...practically whatever you’d like to make your wedding weekend amazing! Yes, there are off-season rates! Choose a date in November, December, January, or February and take $500 off your package. Yes, you can elope at Events on 6th! Get married in the chapel and celebrate in a nearby restaurant! Use of the chapel and lounge area, limited dates and times, starting at $500 for 1 hour, $200 each additional hour. Your officiant, your decorations, your sound system (if needed). Events on 6th has a variety of spaces available which can be combined to meet the needs of your event. Smaller parties might use the lounge with its white leather couches and fireplace–great for baby and bridal showers. Larger events can use the lounge and reception hall for dinner and dancing. Contact us now – we would be happy to build a custom quote for your next corporate event, holiday party, family celebration, meeting, or other fantastic event!